The Bullroarer is a primitive instrument used by the aborigines at initiation and other ceremonies. It is a thin oblong section of wood, attached to a length of string through a hole at one end. When it is swung rapidly through the air it produces a peculiar humming sound. It is held in sacred veneration by the blacks, and is never seen by the women of the tribe under penalty of death. In a rocky place in the mountains there lived two brothers named Byama. They were both married, and each man’s wife had a son named Weerooimbrall. One day the brothers, accompanied by their wives and other members of the tribe, went far into the forest in search of food. They left the children alone in the camp to await their return. Close to the camp there lived a bad man named Thoorkook, who had a number of very savage dogs. So terrible were these animals that no man dared to approach them. Thoorkook hated the brothers Byama, and was always planning to injure them. Through the trees he watched them going to the hunt, and his thoughts were evil. Sometime later he heard the laughter of the boys at play in the camp, and, as he listened, a terrible thought was born in his wicked mind. He would wreak his vengeance on the brothers by killing their children, whom they loved more than life. With this intention he loosed the dogs and sent them to the camp. When the brothers and their wives returned to the camp, they were surprised to notice that the children did not run to meet them as they usually did, and that no sound could be heard. When the brothers entered the camp, they found the two little boys lying very cold and still. They called to them, but the boys did not answer-they were dead. And by the marks on their bodies, the brothers knew that they had been killed by Thoorkook’s dogs. When the women saw their dead children, they were moved by a frantic grief that was heart-rending to behold, and, all through the night, could be heard the sound of their wailing. Is there a global permaculture revolution rising now? The wide variety of serious and increasingly complex issues confronting people and ecosystems worldwide are leading folks to seek solutions they can apply right now. Today. An increasing number of the public are recognizing the urgency of addressing these issues. At the same time the systemic inadequacy of present governance institutions to shift the current situation towards a sustainable trajectory becomes more and more obvious. People are simply past waiting for their ‘rulers’ to get their acts together. They want to be involved in meaningful and responsible actions which they can perform themselves, and in their communities, immediately. More and more folks, every day, in every culture on the planet, are pro-actively using their birthright of human agency, moving beyond merely ‘hoping’ that things work out, and passionately engaging… doing the actual necessary work to help create positive outcomes in their communities and world. Permaculture has proven itself useful now, in many different environments globally, for over thirty years. By remaining active and growing as a body of practitioners for several decades Permaculture is achieving more and more of the kind of critical mass in the public eye that continues to enlarge these kinds of actions on the ground. Courses are filling up faster than ever before. There are waiting lists for many. More and more folks are hearing of, learning about, experimenting with Permaculture with each passing day. As more people and organizations become involved, more Permaculture thinking is being applied to more real-world contexts, and more learning and sharing of this new knowledge is happening at increasing spatial scales, and with increasing speed through time. The fact that in just the past few years this ‘revolution’ has noticeably amplified its scope and reach is partially explained by what has been noted here; namely, increased ‘literacy’ in the public consciousness and discourse of complex environmental issues (leading to an intensified search for solutions even at the individual level), coupled with the historical fact that Permaculture has more recently achieved a level of ‘visibility’ as a result of its combined three decades of offering immediately applicable practical solutions and thinking . And so it continues to grow. There are many diverse threads and frameworks of action and pro-active organization aimed at addressing our global crisis. Most, if not about all of them, could be seen as actions with the intent to care for the earth, care for the life and people on earth, and to live responsibly within natural ecological limits. In essence, following the three ethics that Permaculture has so strongly asserted. So, whether or not we name all of this passionate activity by literally millions of people worldwide ‘Permaculture,’ the revolution and transformation underway is in many ways far wider, more diverse, and uncontainable than what is presently being performed by self-identified ‘permaculturists’ alone. Paul Hawken’s book Blessed Unrest for example, makes a compelling case that the planet is in the midst of the largest social movement that has ever happened, and is centered around sustainability, social justice, and basically specifically addressing the ethical concerns foundational to Permaculture. Another example, The Earth Charter (EarthCharter.org), is a document being increasingly promoted and taken seriously in international policy circles. It explicitly recommends all of the Permaculture ethics and goes well beyond these in the specifics of its declaration. So whether we refer to the whole enchilada as a ‘Permaculture revolution’ because it addresses Permacultures primary ethics, or call it ‘Blessed Unrest,’ ‘regenerative this,’ or ‘sustainable development that,’ is not nearly as important as the fact that it is occurring and–appropriate to ‘the great acceleration’ in which we humans find ourselves–is happening at an exponential pace. What will be crucial in the next decade or two is the question of whether that particular exponential curve (global social-ecological revolution) will be able transform all the other exponential curves (from population growth, to resource use, to waste generation, to atmospheric carbon, to increase in McDonald’s franchises opening…) before we take the earth system functioning beyond any more of the at least nine-identified global tipping points (see Rockstrom, Nature, 2009). Tipping any of more of these over the long term will in all probability move humans out of the only climate domain we understand (if very imperfectly). The Holocene climate regime is what our entire civilizations, institutions, health and livelihoods are built upon. The dangerously close ‘Anthropocene’ changed climate regime would clearly be far less accommodating to our concerns and needs as a species. All of this is why this particular moment in earth history is unique and unprecedented. Decisions this generation makes, actions we take today, individually and collectively, are what will determine the fate not only of our own species but of hundreds of thousands of others. The scope and scale of this is far beyond what our species has ever dealt with previously. Good choices we make today are the only possibility for laying a secure foundation for continued human civilization, through the thorough convivial and collective redesign and redevelopment of the earth system… starting where we are at. How is the Worldwide Permaculture Network (WPN) site working for you? For the larger community? How can it be improved? The WPN has emerged recently as a gift and tool for the global Permaculture community to enable increasing connections and interactions between individual permaculturists, as well as between Permaculture organizations and projects, and any who wish to collaborate with them anywhere in the world. Something akin to a ‘facebook’ for the global Permaculture community. As this was only rolled out in early 2011 it seems to me that the effects of this addition will be difficult to predict with much accuracy, but we might expect it to facilitate further positive leaps of this ‘movement’ overall…. Possibly even a game-changing kind of re-organization of this community in the longer term. Not so different in dynamics from the many tough to forecast but real effects of the actual facebook and other social networking technologies have had even at the scale of global geo-politics, regime change in individual nations, and so on. I am confident that this system has the potential, like most natural systems, to improve by self-organizing into whatever form is optimally efficient for the largest number of users over time. This is a pattern–self-organization to optimal efficiency for the most users–seen in Lovelock’s Gaia Theory, in current network theory, in eco-systems, even in actual traffic jams (believe it or not) as has been shown by Per Bak, and others, using the emerging fascinating science of self-organized criticality. What is sacred about the practice of permaculture? When we return to the etymological roots of the word “sacred,” we will find variations on the theme of “making holy” and “making whole.” Implicit in the word are wholeness and health, two words stemming from the same root in the Proto-Indo-European language. The Old Norse word for “health” specifically carried the meanings of “holy and sacred.” So we come full circle. If these notions comprise what it means for a phenomena to be regarded as sacred then there is little doubt that the aims of Permaculture are towards precisely this condition: a whole and healthy earth, harboring whole and healthy communities, of whole and healthy individual organisms; all levels interacting in a whole and healthy fashion within themselves, and between each other. What could be more sacred, and perhaps less mysterious, than this? This is quite simple as a description and one we might be hard pressed to find much individual human opposition to. Of course not only whole and healthy (sacred) ends are desired by a Permacultural practice, but the means to get there, the tools, techniques, principles and practical actions taken to move ourselves and our communities towards wholeness are themselves necessarily based in a whole-systems perspective. This is the first tenet as well of the Holistic Management® framework (which aligns and integrates flawlessly with Permaculture aims and practice); that nature functions in wholes. Caring for earth, caring for life, and returning surpluses gained while living within our natural limits are not only ethics but actions. They become truly ethical when they are made operational and not merely repeated verbally. When performed through actions they have the propensity to generate increasing health and wholeness in our social-ecological systems. In that sense, the ethics are in fact sacred. Wholeness is a real result of Permaculture practice… outcomes of simple, practical design and practice in real world contexts. There needn’t be anything too complex , abstract, or mysterious in describing practically how these results are achieved. Nothing more mysterious than the common alchemy of a compost pile turning ‘waste’ into food for soil and plants, or a seed interacting with water, soil, and sunlight to produce a healthy plant ready to feed the next participant in the food chain. And yet we might describe the result (and process) as “sacred,” in this sense of health and wholeness, or even the sense of its high value to all of life beyond autotrophs. “Let’s hear it for photosynthesis!” as Permaculture teacher Brock Dolman likes to say. That might be the simplest, most direct way in which Permaculture could be described as a sacred practice. But importantly, Permaculture was an early-adopter of integrating into practice and theory a wide variety of cultural perspectives and ways-of-knowing our adapted social-ecological interactions. Early on, Bill Mollison was keen to use many perspectives and non-western science modes of understanding and living within landscapes originated by indigenous cultures from Australia, the island cultures, native Americans, and so on. This approach, sharing perspectives on resource and land use practice and understanding between western science trained managers and indigenous traditions is beginning to gain a lot of traction and discourse in the cutting-edge of sustainability science (particularly in the Resilience Theory literature, Fikres Birket for one)… There is an entire emerging literature and body of research in these fields regarding “traditional ecological knowledge” or TEK. Basically it is western science finally coming around to understand that many traditional “sacred” practices and “taboos” in many cultures where people have inhabited particular landscapes, with given resources , cycles, and adaptations for very long periods of time have evolved presumably in a long-term form of adaptive management. The cultural memory of what practices are effective in their lived environment most often have been embedded within their system of sacred rules and cultural practices. A classic example of this is the tradition of “sacred groves” in India, the forest being viewed as a holy place since very deep in their history and literature. These groves are set aside plots of woodland that operate essentially as a “zone 5” in Permaculture practice. They are not to be disturbed, harvested, or otherwise used up. As western science began to investigate they quantified the effects in the wider landscape of such “sacred groves” and determined greatly increased levels of biodiversity throughout the regions where this practice had not died out. This particular sacred practice gave more wholeness to these regions by serving as refuge for a wide diversity of plant and animal species, as well as a source for migrations of these into other areas where populations may be declining. There are likely as many examples like this, that are regarded as ‘sacred’ practices in the cultures where they emerged and are also good examples of Permaculture-minded practices. At the same time, if you just want to look at these practices as very sensible and practical (as opposed to sacred) as they provide benefits to the whole system they may work just as well! Some permaculturists do not want the sacred to be a part of the movement. Why do you think this is? So, certainly part of what is at play in this dynamic is a desire to maintain an identity in the Permaculture concept that does not align it specifically with any given religion, no matter how well the ethics or actions of that religion might happen to line up with Permaculture thought generally (Geoff Lawton, for example, makes no secret of his belief and practice of Islam—which does have a rich ecologically sound portion of its writings—yet does not bring this into his courses at all). If Permaculture were to align with any particular religion this could give at least a perception of an exclusionary stance in the public mind. If you don’t buy the religion portion then you don’t get to participate? Permaculture is far better served by remaining an open, accessible, and useful practice for any and all people, of any and all religions and cultures, willing to live the ethics (which tend to be quite compatible with the ethics of most religions). There is nothing stopping any religion from becoming perhaps more relevant by using Permaculture to help re-interpret themselves and their role in today’s world. This could enable religions to re-engage more meaningfully and practically with the most pressing issues humanity currently faces. This is no less their challenge as well as ours. If traditional religions are able to revitalize their message in a way that generates mass action for earth care and the like, their powers to move and align with the masses may be significantly revived. As already existing (though currently declining in many cases) social networks, religions are in some ways uniquely suited to motivating large groups to action, which can definitely be positive (the civil rights movement in the US, for example, would never have happened when it did were it not for the active and consistent support by the large social networks of churches in the South and across the country). Perhaps one of the main reasons for resistance to explicitly addressing ‘the Sacred’ within Permaculture has to do most with the desire for Permaculture to be accepted more widely as a ‘design SCIENCE.’ As Permaculture sprung in the first place from an academic arena (famously as the student Holmgren’s collaboration with his advisor, Mollison) there has been an awareness of this issue. This fits more broadly within a long history in the biological sciences of ‘physics envy,’ if you will. A misplaced envy in my estimation, but a prevalent one. The fact remains that Permaculture has yet to gain a large amount of specific mainstream scientific acceptance, or even notice! Even when all of its principles, and even ethics, find justification and increasing proofs and re-statements in many research programs from many disciplines in the broader science of sustainability globally. There are many reasons for this including its low profile, lack of sustained or well-funded research programs for Permaculture, scatteredness of practice and disconnectedness of practitioners (which perhaps the WPN is beginning to address), even an older perception that it is ‘just-a-bunch-of-hippies.’ Whatever the case, the sensitiveness to being perceived and accepted on scientific terms (which, after all, is the current reigning western cultural religion, complete with historical contingencies, metaphysical assumptions, beliefs, and other trappings—best left for another discussion), is motivated in part by a desire for Permaculture to expand and become increasingly relevant. So, in the context of our particular current cultural pathology that venerates science at the level of a religion (though even this is changing, slowly), this perceived need for more ‘scientific’ validation also drives some of the dynamic that wants to disassociate Permaculture and ‘the sacred,’ where the latter is conceived as having religious (‘unscientific’) entanglements. That being said, even the most up to date fully accepted science makes it clear that at the heart of our universe, fundamental to all that is known, is an intransigent mystery… an irreducible uncertainty, indeterminacy, and unknowability! Something about that sounds almost sacred. Can Mollison’s pattern language be applied to a Nature-based symbolic language? 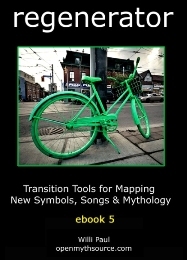 By design, Holmgren and Mollison’s exposition of patterns in nature and pattern recognition in practice, facilitates good Permaculture designs through a conceptual framework that enables the ‘whole’ movement of a process, the entire cycle of a nutrient, or whole set of relationships between a network of variables to be observed, mimicked, and otherwise worked with by skilled designers. That is, Permaculture pattern language and recognition is really about recognizing whole systems as operational domains distinct from the elements or parts that may make up these systems (just as you are operationally distinct from the objects of which you are composed–replacing all of your cells in a matter of seven years or so). This leads to thinking systemically about these patterns and how they fit into an overall design, as opposed to the cultural habit we have of thinking linearly about specific parts and often confusing or failing entirely to even recognize their relationships to the big picture. Can this be applied to a “nature-based symbolic language”? Perhaps it already is? Patterns are often a ‘shorthand’ or ‘symbol’ for complex processes, or specific configurations of processes, that create the pattern form. If Whitehead is correct that “the object of symbolism is the enhancement of the importance of what is symbolized,” then Permaculture’s emphasis on use of patterns succeeds at this aim. These in fact enhance the importance of the processes and elements that they integrate and symbolize. They do this partly by allowing observers to more quickly make sense of their observations through the ‘shorthand’ of picking up on the patterns involved, with a learned sense of what those particular patterns will mean for how a system functions, and for how we can work with those dynamics. Perhaps most fundamentally, though only implied in Permaculture literature and practice, is the ontological inversion that occurs through the emphasis on these patterns (symbols). By focusing attention on pattern and prioritizing this over the elements that make up the pattern Permaculture suggests that process is in fact more fundamental than matter. A complete denial, in this sense, of the Galilean/Newtonian picture of a billiard-ball world (which, post-quantum science, etc, was already well in tatters). Emphasis moves to relationships and process and away from simple, linear designs that repeatedly have failed in the ecological and social realm historically. I believe this is a little recognized but highly prescient perceptual shift ingrained in Permaculture that has pre-figured what will come to be a scientific consensus, and toward which some of the more radical interpretations of ecological science are currently leading (H.Odum, R. Rosen, Ulanowicz, etc). Beyond ‘ontology,’ in a more day-to-day design use for pattern understanding… the meander, the cross-section, and the longitudinal profile of a river are amazing patterns in a landscape. Such river patterns are the actual expression and integration of all of the processes, water, soils, vegetation, etc, occurring in the watershed. Ability to read what the patterns of a river are telling us about the multiple processes happening in the whole watershed is to effectively read the landscape through this ‘symbol’ or expression of its many processes. Ecology is full of such pattern examples. But, perhaps by “nature-based symbolic language” you mean something like a new form of communication between humans and human cultures? If that’s the intention it becomes important to understand the purpose for creating this and what we hope to accomplish with it? Communication symbols are inherently tricky. Meanings of any symbol (including words in language) are flexible, fluid, and change frequently in nuance if not complete meaning. But nothing fosters communication like working together towards a better world. My sense of this would be that any symbol building is best left to the people who are doing this work together, to develop in a shared dialogue with each other and through the processes they perform together. Such symbols need to be developed from shared meaning, as well as represent a shared meaning. This can only be generated in the process of relating to each other as human beings sharing a common project of some kind, specific to real contexts in which work is being done. To attempt to create such a symbology absent of when and where it will have direct and specific applicability might be presumptuous or have the cart before the horse? At the same time, anyone who has a clear vision for how their unique talents can contribute to the larger project of keeping humans adapted to this planet and vice versa is to be encouraged to proceed with their passion. Passion is a feedback we should heed and respond to. Who knows where these things might lead. Are there new myths rising from permaculture? Yes. In the sense of stories that inspire a useful and relevant orientation to today’s world and its inhabitants… in the sense of speeches and thoughts that encourage actions that make a positive difference… and in the sense of living examples of stories that can help guide others to shaping visionary futures on their land, in their watersheds, with their communities… These new myths are not hard to find in Permaculture and elsewhere, and are rising more every day. Are you an eco alchemist? If an “eco-alchemist” is one who works with an ecological mindset, observes nature for understanding and action cues, and who works towards generating and fostering the transformation of our present materials and processes(be they social, financial, ecological) into greater emergent health and wholeness for all life, honoring in practice the deep connection between all things… then count me in. In another sense though, the Mollisonian principle “everything gardens,” exemplifies the observation that no form of life exists that does not interact with its environment, and by interacting and existing, change its environment, most often in a way that tends to conserve its own niche and helps to structure its environmental niche in such a way as to make the provision of its own needs simpler to achieve. This observation suggests that all of life and every person simply by existing and living is already and automatically an “eco-alchemist,” interacting with their home ecology and changing the structure and function of that ecology in the process. The trick for humans at this stage in our evolution is to be very conscious of this interaction, of how we are living, and especially of what effect the interaction of our living has on the ability of the environment to provide us with what we need to continue our living! It isn’t about reducing our impact but increasing it! Only in a direction that is win-win-win for the system as a whole, and so for all of its elements as well. So hopefully that is what your term implies, a conscious eco-alchemy. Or perhaps conscious socio-eco-alchemy, as social and ecological systems cannot be separated other than in the abstract thought and language of humans. Conscious eco-alchemy is interacting purposefully and with awareness with our environmental medium in order to support through our activity its structure and functions fully, as well as enable and support our own niche within it. This is simply sound Permaculture. Please give us a few political challenges that you have encountered in your work outside of the USA. While I’ve come across challenging situations ranging from Zimbabwean Defense Forces killing Rhinos under the protection of a ‘closed’ national park, working for the same government collecting moneys from the public to “save the rhinos…” to being unable to legally construct basic farm dams due to bureaucratic and inflexible policies, to working with folks whose lands had been confiscated by the Mexican government only after they had spent 7 years building up their off-the-grid home, water systems, and gardens… this is surely the ‘tip of the iceberg’ compared to what many Permaculturists have encountered , at home and abroad. The way forward here is multi-dimensional, but a lot of great research on adaptive governance structures that work best is being done within the Resilience science framework. Elinor Ostrom, who has won a nobel prize for some of her work, comes to mind. Adapted institutions, networks, overlapping jurisdictions, and cross-scale governance structures, are coming forward now through myriad case-studies and giving guidance on arrangements that offer us better chances to collectively manage our natural resources and commons in a sustainable and fair-use fashion together. The growing frontier for applying this in the real world is in participatory regional planning, management, and governance, and there are many frameworks evolving to take this challenge on. Most are forms of adaptive co-management and related approaches. Permaculture has value to offer here and needs to find more opportunities to get involved at this scale of activity and these kinds of community processes. 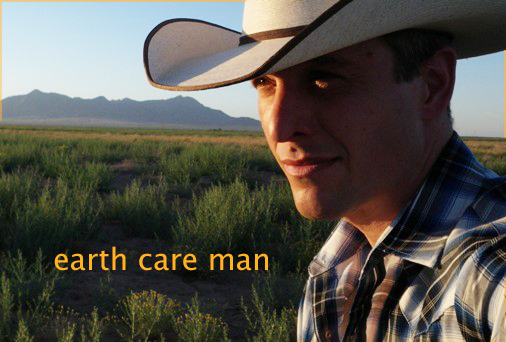 What is the alternative to a permaculture future, Owen? If by a “permaculture future” you mean a future in which humans have self-organized their communities, organizations, institutions. That these human dynamics have emerged in a way that values, respects, and remains within an operational/behavioural domain adapted to and consistent with the larger whole. That, by living this way all of the landscapes, ecologies, the planet, and biosphere that we must operate within, that we need for life, are cared for and supported through our actions and dynamics. If that is the kind of future you mean when you name it a “Permaculture future” then there is little alternative to this, short of extinction for us and far too many other species, on the longer view. In the shorter term there are many scenarios that could play out and the only certain thing is surprise and the fundamental, irreducible uncertainty that is a curious and endlessly fascinating condition of our cosmos. Holmgren has done well in articulating several possible futures in his short book Future Scenarios. I have not compared them specifically to the future scenarios developed in the 2005 Millenium Ecosystem Assessment, but it would be interesting to see how these might compare (both offer four scenarios, I believe). Among the reasons we live in such a terribly beautiful and extraordinary period of time is that it is this century, likely even the next decade or two, that will be decisive for which trajectory–transformation or thanatos (to use some ‘mythological’ language)—humans will choose to enact. Interesting times indeed! If Permaculture is anything, it’s a true adventure! Thank you for the opportunity to discuss perspectives on Permaculture with you and your adventurous readers around the world! Owen Hablutzel is a consultant, educator, and facilitator performing international work with a range of clientele to radically amplify practical whole systems design, thinking, and management for increasing land health. Having lived and worked in Africa, Australia, and much of the western United States, Owen brings a wide array of experiences and training to his work with broad-acre systems. This work continues to integrate Keyline, Permaculture, and Holistic Management applications with a wider spectrum of practical, leading-edge solutions capable of slowing and reversing the current global social-ecological crisis, at multiple scales. Whether with farms, ranches, classrooms, non-profits, or larger land managing entities, the core work remains empowering people and communities to create robust land health, adaptive capacity, and resilience through stewardship. 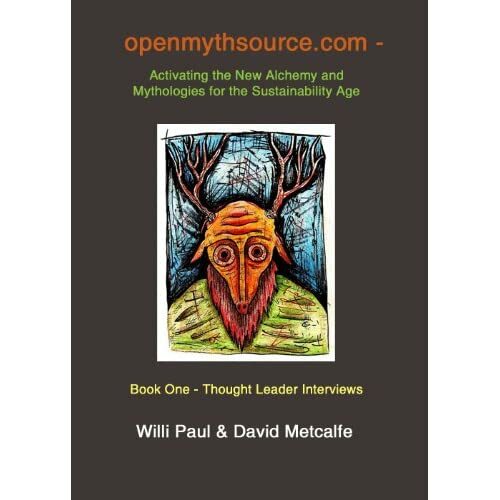 This entry was posted in Interviews, News, PR, Stories, Tools, vision and tagged "Symbols & Patterns", Alchemy, Director, Green, Interview with Owen Hablutzel, Permaculture Research Institute, PermaculturExchange.com, Sustainability, USA, Willi Paul. Bookmark the permalink.